The figures are in and we’re pleased to report an increase in our annual turnover of 6%. The 2017/8 financial year has built on and exceeded the success of the previous year, making it our 16th consecutive year of steady growth. Last year saw us complete a number of high profile projects in the heart of London and the City, installing high specification washrooms for various office refurbishments as well as creating unique changing areas for the growing boutique gym market. Becoming a tier one washroom supplier for construction services company, ISG has opened up even more opportunities as we’re now one of just two such washroom suppliers. Through early engagement with ISG, we are now in a stronger position to review, tender and hopefully win future contracts with them. Over the last few years we’ve embraced new construction methods to hone our off-site services plus we’ve made the majority of our products available as BIM objects. 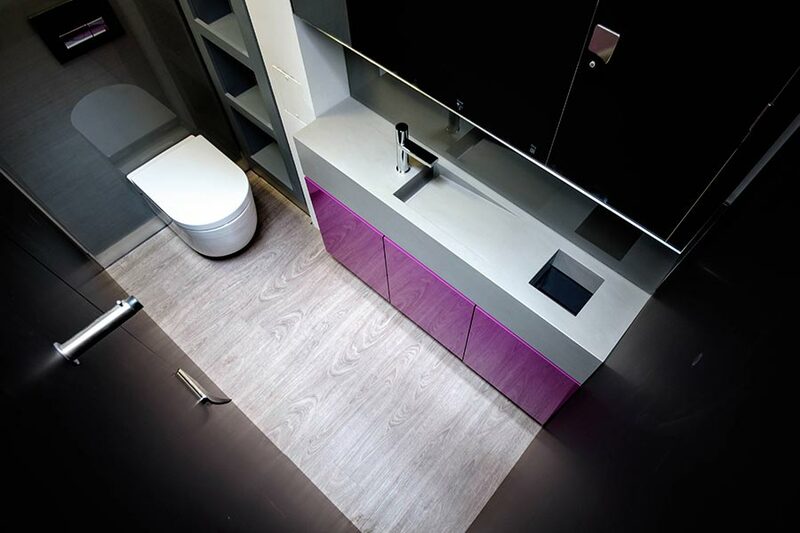 We believe that this, combined with our commitment to deliver bespoke washroom spaces tailored to various different sectors and our ability to meet quick turnaround times, is the secret to our continued success. With plenty of exciting projects in the pipeline for the coming months, this year looks set to be just as busy for the whole team. Keep a close eye on our social media channels for all the latest news and updates this year.